Find hotel near Changchun Movie Millenniu .. In Changchun Movie Millennium Town everything that can come under recreational activities are all clubbed under one roof. The place has many highlight such as Movie wonderland, 4D screens, theme park with thrilling rides, Light shows and horror houses. There are also spate play houses for children below 15 along with candy stores and refreshment centres. It’s a fun place to come and enjoy with family and friends. Ask locals for direction, drive here or take a cab if possible. How popular is Changchun Movie Millennium Town? 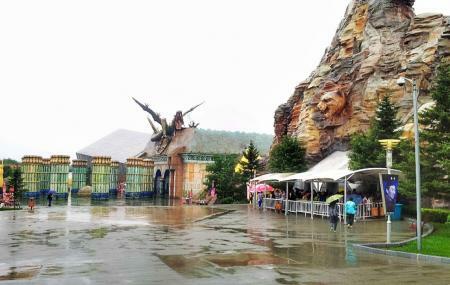 People normally club together Zoological And Botanical Garden Of Changchun and Jingyuetan National Forest Park while planning their visit to Changchun Movie Millennium Town. People also prefer to start their day with Changchun Movie Millennium Town.